I am a Music Strategist, Advisor and Marketer and I have seen how dirty this Business is. Now, I am taking a few years to educate people and drive them into the right direction to maximize their revenues with their Music. 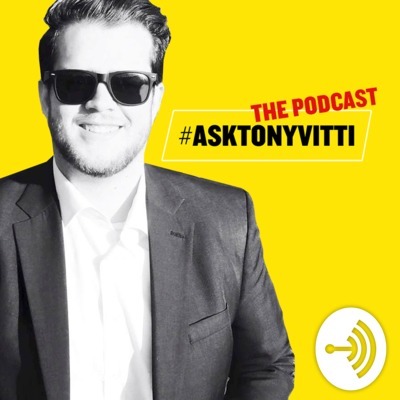 Ask me any question related to the Music Business or your career and I will answer them ! In this week's podcast, we are seeing different news in the Music Business: Sam Barsh and his Facebook posts aiming at royal-Ts, Taylor Swift and her new deal with UMG, AI may be the next big thing in Music Composition, Chainsmokers and 50 Cent are investing in an app and much more! The Beatles are often being criticized by their fans for not taking the leap on digital platforms. But with the remastered release of their eponymous album from 1968, the "White Album", which includes now 107 songs, the British band is using a new tool from Spotify to reach a younger audience... Let's take a look! In this episode #63, we discuss the best distribution strategy for your music. Indeed, Spotify has been testing different ways to help artists upload and submit their music directly on the platform, but what does it really mean? We also review which distributor is best suited for your music release strategy and to stay afloat with your finances! Finally, a few tips for you to beat the game on social media. Thanks for listening! Hey guys! In this week's episode, we are discussing a few things that I think are very important to discuss: why do music artists let other people get involved in their career choices? I am tired of these people who always have something to say, so much that artists don't release their music. Time to do YOU! Also, we discuss the release of my book "To The Top! - A 21 Day Music Release Marketing Strategy" which is available everywhere on Amazon! Thanks for your love, as always! You Can Not Control The Music Market! Hey guys! Super pumped to talk to you today! It's Monday, and you singers, songwriters, music producers and other musicians, need to know one thing: YOU CAN NOT CONTROL THE MUSIC MARKET! This being said, you should put in the work to create an offer to the huge demand out there! In this episode, we also talk about music streaming services and the last report of CITIGROUP about the Music Business and Music Industry! Join me on Social Media! The time has come to release your MUSIC! Hey guys, thank you so much for listening to this podcast! Today, I really want to motivate you about ONE thing: RELEASING YOUR MUSIC. The amount of excuses you make not to release music is astonishing. How do you want to have a career if the music is not out? Remember guys, Music is a Business that has a MARKET, and if you don't provide offer to the demand, how do you want it to work? That's what we are discussing in this week's podcast! By the way, happy birthday: 60th podcast! Hey guys! In this week's episode, we will discuss the fact that you should not feel a certain way because some artists are doing "well" and you're not. Basically, I want you to trust in the process. How To Allocate Time For Music? What's up everyone! In this weekly motivational podcast for musicians, singers and songwriters, we are going to see how you can allocate time for music. Most of you guys complain that you are lacking the time necessary to make music and me, I think you are not doing your best to allocate this necessary time! So let me help you and see what we can do together to make sure you work on your craft! Today, my dear Artists, we talk about a few things! Instagram and their new features (IGTV, Questions, Swipe Ups...), Medium articles and audio transcriptions, my BOOK! and finally why you should always try to go to these meet ups you never want to go to! Today, we are discussing one of my favorite topic: being grateful. It is pretty incredible how people see the glass half empty! But the reaction is theirs, and for their music career, this will not help them much. 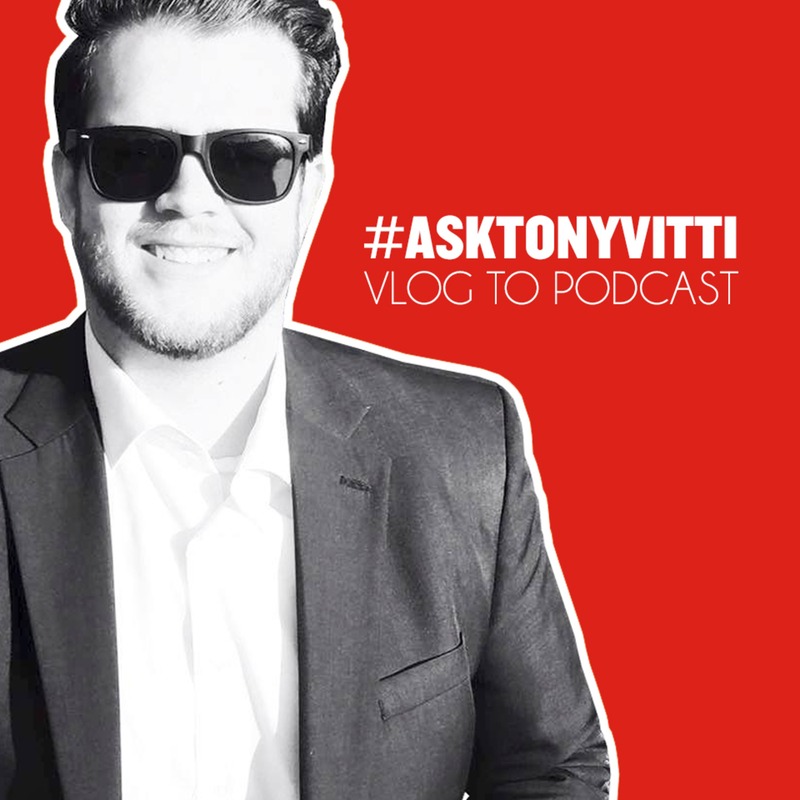 Audio version of the vlog, today, we talk about Facebook ads and why they are very important in every music release strategy. Having a lack of money? The podcast of the day is dedicated to one of the most common excuses in the music business from independent artists: the lack of money. While it can be stopping you right now, know that there's always a solution. Let's talk about it! 9th episode of my daily series One Minute Motivation. One of the biggest excuses I hear is the lack of money. Let's talk about that. For those who can't watch the vlog on my youtube channel, here is the audio version! Today, it's all about the market and your music! Having a lack of confidence? Today's episode is all about confidence, self awareness and knowing your strengths! Super important for any music artist that wants to be successful! 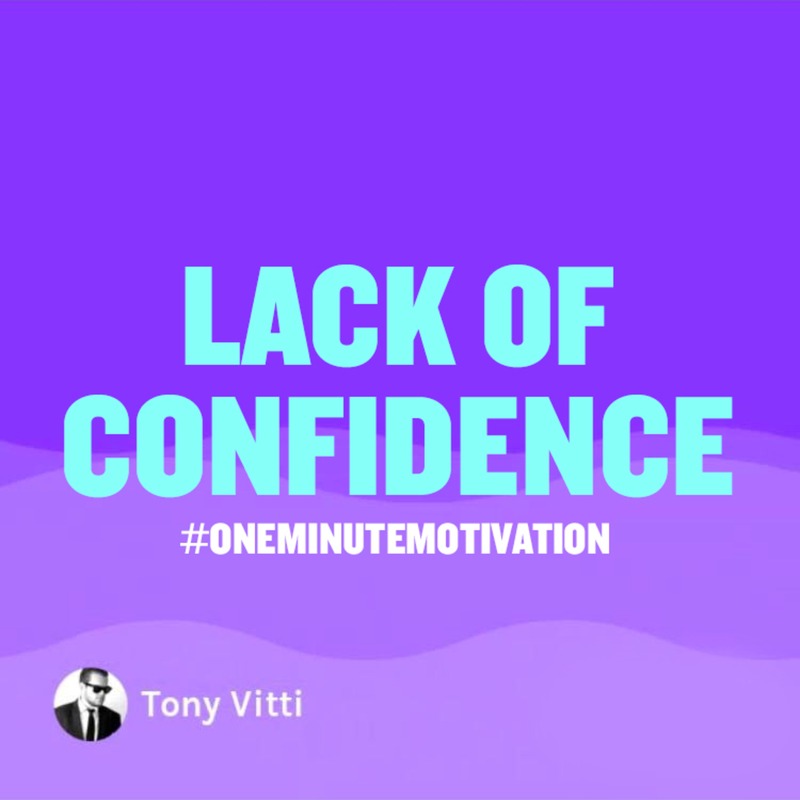 8th episode of the daily series One Minute Motivation about your lack of confidence! For those who can't watch the vlog, here is its audio version! Having a Lack Of Inspiration? 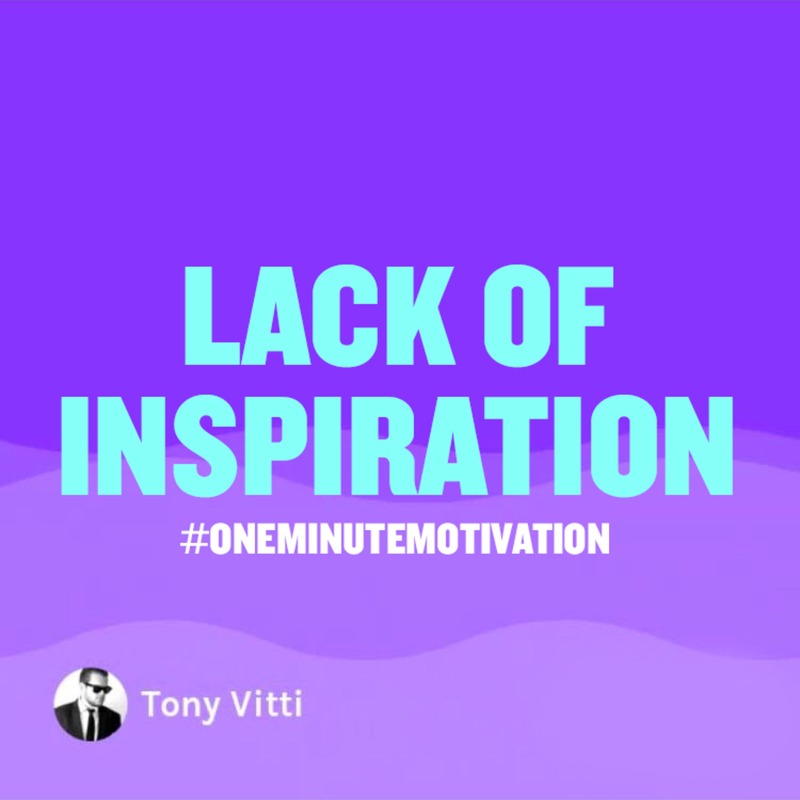 Second episode of the #AskTonyVitti motivational podcast, after the One Minute Motivation about the same theme, it's the long version that we talk about today: the lack of inspiration. You wanted it, it is back! 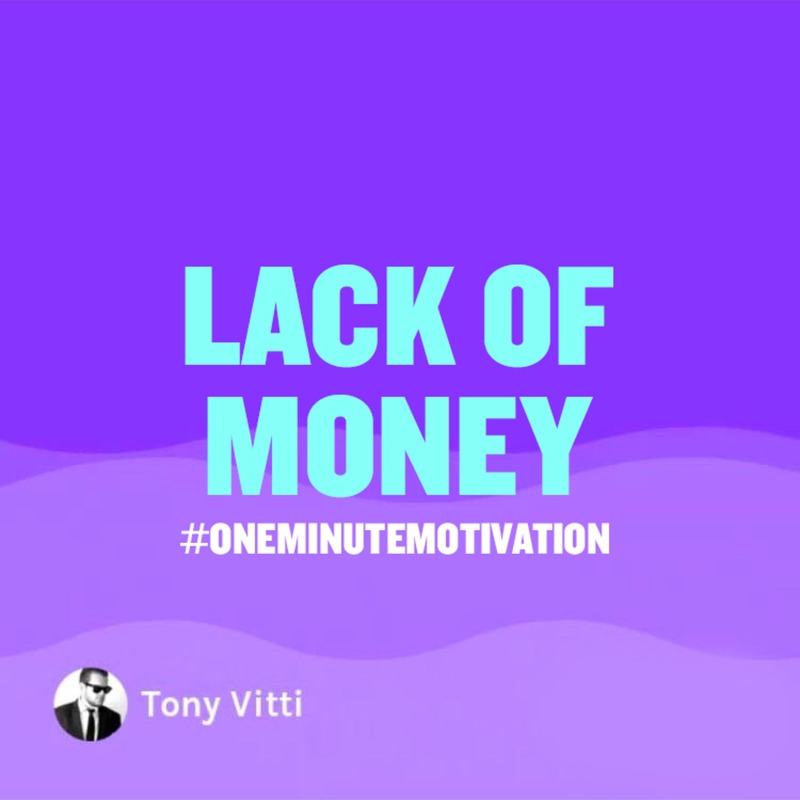 My One Minute Motivation videos are back and today, we talk about the lack of inspiration! 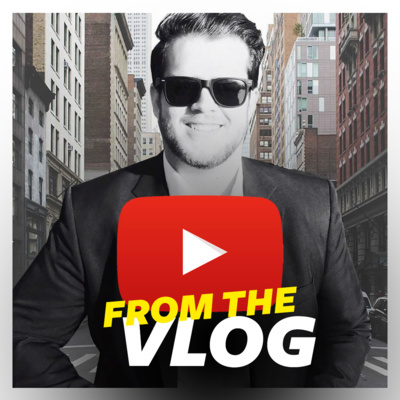 Transcribing the Vlog into a Podcast! We live in the best era possible. Period! First Motivational podcast, new formula, longer, that I want you guys to consume differently. Today, it's about being balanced mentally and to create music accordingly. Today, question coming from "Totally Overrated" on my last video about Instagram Sponsored Ads for Music. Where to start! WHAT IS THE BEST CITY FOR BEING RECOGNIZED IN MUSIC? No video yesterday, so here is a 15min one! All about questions from the WeAreTheMusicMakers subReddit! 00:38 - Should I delete my Facebook page? 04:57 - What city is the best for being recognized in music? 07:55 - What should I do after my B.A. in Music Production? Today, answering 3 questions from the Subreddit "WeAreTheMusicMakers" : 00:20 - How to start a music career as a young singer? 02:57 - Should I give up on my dreams because of the market? 06:47 - How to submit music to blogs and vlogs? Questions taken from the Sub-Reddit : WeAreMusicMakers and MusicIndustry 00:32 - What other promo ideas than Facebook ads? 03:45 - Should I go to Music School or learn by myself? 05:50 - What to do with $100,000 and a hot single? Questions taken from the Sub-Reddit : WeAreMusicMakers 00:36 - How to support yourself financially as a starting artist? 3:33 - Any tips on a no budget music video? 5:36 - How to advertise yourself starting from scratch? Let me give you a little checklist regarding your future release. Hopefully you'll see it clearer for your music. Kids under 30 never took a punch in the mouth with their music career and so when something is a little bit rocky, they want to give up and feel all lost. Let's talk about that. I think that Youtube became the new Television and that people need that "all access" nowadays. Let's talk about that. Is It That Hard To Become A Music Influencer? Being an influencer in Music will be the new way of "making it" in this Business. But is it hard? Let's talk about that. Going To School For Your Music, Is That The Right Choice? So many people ask me if going to University for music is a smart move. Let's talk about that. Everyday, I receive countless of comm... sorry, "EXCUSES" on how music is a hard task and that it's not easy to be successful in that field. Nothing irritates me more than that, here is why. Running after a record deal is tending to be obsolete in 2018. As a matter of fact, we are living in the best era to crate and distribute music! Let's talk about that. Recording studios are in danger, they are all closing because they don't bring enough money. But is it a market problem or them not adapting? Let's talk about that. Today will be a little bit more motivational. Let's see how much you can crush it! How To Start A Podcast Effortlessly And Effectively? We are facing a new trend and a new way of consuming journeys on social media: podcasts. It is just getting easier and easier to start one so let's talk about that! Everybody is talking about Vero, the "True Social" app that is trending amongst Instagram Influencers... But is it really worth it? Let's talk about that. We talked about that before, how to actually promote your new song, album, EP... But today I want you guys to contact these influencers the right way. Here is my blueprint. Making Money On YouTube In 2018 Being An Artist, Is That Doable? Enough is enough. Today is the rant for Singers, Songwriters and Musicians. GO DO! Let me explain that title, because in fact, only businessmen sold Music. Is It Worth It To Protect Your Songs? Today, we talk about the fact that Music can be copyrighted and protected. Going Live became so much easier with platforms like Twitch and Instagram. Is it the new model? Let's talk about that! Today's episode is all about busking: playing outside. Is that still a thing? Let me tell you! I have to say it. You have to recognize it. The Music Industry is dead because Music is not selling. But there's a hope. So let's talk about that. Merch is a huge deal amongst a lot of bands and artists but can you really bank on it? And how! Today's podcast is all about how to grow on Instagram when you are a Singer or a Musician or even a Music Producer. Let's talk about that ! Today, I want to talk about Mamanagers and what I think they should consider when managing the career of their kid. We see more and more singers, songwriters, producers having a verified badge on social media, but what kind of strategy are they running? Isn't it a race to the number of followers? Will it pay? Let's talk about that! We all experience failure. And in the music industry, it can be devastating. Today, let me tell you a bad experience of mine and how I overcame this failure. Today's episode is based on what you should do before releasing your Single or EP or Album. That can be a tricky one to make a promotion for your release but don' panic I've got your covered on this one. Had a nice conversation yesterday with the very talented London Kyle and let me tell you that we all agreed on one point : kids are not running the right race on Social Media. Today, we will see that the game is all about bringing value and to care. We all know about the term A&R, yet nobody really understand their job. With social media and the way people consume music, their function completely changes through the years and we need to re-establish what's that funny business is all about. Today, let's see how you can bring some money to your wallet with 7 little techniques that everyone can use at their own concert. We all heard about feuds in the Music Industry like Taylor Swift and Katy Perry or Miley Cyrus and Nicki Minaj... The question is who benefits from these beefs ? Is it actually something to bank on ? That's what we are talking about in this podcast dedicated to beefs and feuds in the Music Business and how it can boost your sales up. 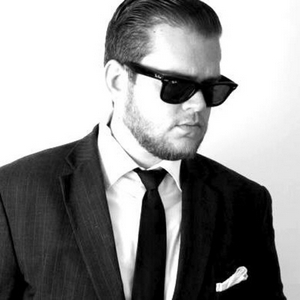 So many artists talk about hiring a Lawyer for a record deal or a Manager for their shows. Is everybody relevant for your Music Career ? That's the topic of today's Podcast. Today, I want to talk about what is a smart money move and what's not when it comes to starting artists. Some mistakes are absolutely to avoid so here are my tips and advices as a Music Strategist, Advisor and Marketer. Today, let's talk about Spotify "big" announcement to give credit to Producers and Songwriters. Let's be honest, this is a shot in the dark that you should know about. Today, we will see a technique that you can use to release your music the right way within 21 days.